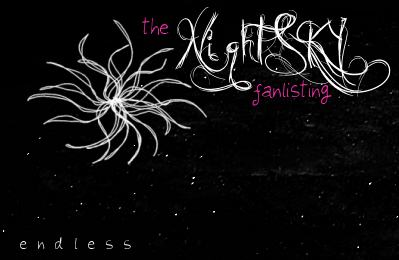 Welcome to ENDLESS, a fanlisting for Night Sky. This fanlisting is listed at thefanlistings.org under the category Nature. Are you a fan? Join! If you want to learn more about the subject check out the extra section. To navigate this site, click on the letters in "endless" to your left.